The apocalypse can be an awfully lonely place, especially when everyone you meet ends up trying to kill you and steal your resources! 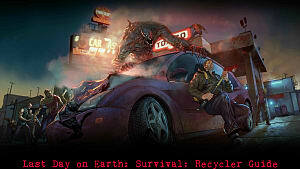 That's where raising some puppies to faithful hounds comes in on Last Day On Earth: Survival. 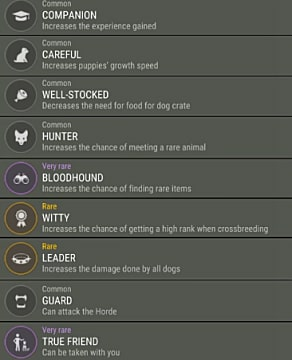 Through careful crossbreeding, eventually you can get some absolutely killer skills for your stable of dogs, from buffs for finding better items to the all-important True-Friend skill. Below we cover absolutely everything you need to know to find a puppy, raise it to adulthood, and then eventually breed it through dozens of generations to the ultimate Rank IV hound. 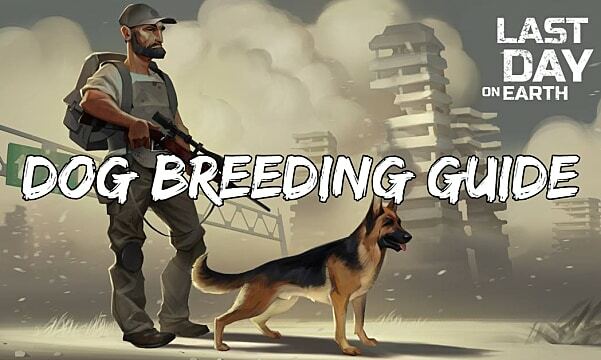 To start raising and breeding dogs, first you need to grab a defenseless puppy (why the zombies don't eat them is unclear), which can be found immediately by leaving your home base and heading to a Green Resource Zone. Your first puppy is guaranteed to spawn in any Green Resource Zone area if you haven't picked up a puppy before, so spend the energy to run to a Green location and explore around the area until one shows up. 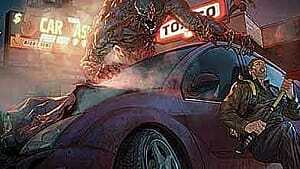 Usually they pop up within 30 seconds, but keep running around if you don't get one straight away. I may not have any pants, but I've got a puppy, and that's even better! When you grab the adorable little puppers (just tap the same icon as though you were harvesting a resource), it will appear in your inventory as a Puppy In A Box, but you can't do anything with it just yet. 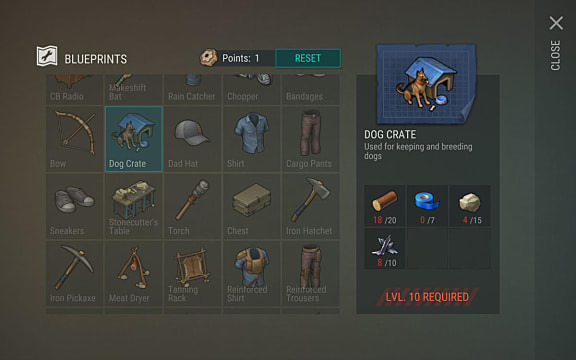 The "use" button for the boxed puppy will be greyed out, now matter where you go or what inventory slot you place it in. Build the Dog Crate on a floor segment of any building and then you can finally use the Puppy In A Box to start raising the dog. Opening the box gives you a randomized gender and coloration (from least rare to most rare: brown, black sides, black back, tiger, full black, white). After grabbing your first puppy in a Green Source zone, additional puppies can be found randomly at your home base area, Aid Drop areas (these have a very high chance of puppy spawns), Red Resource Zones, or Floppy Disk Coordinate locations. 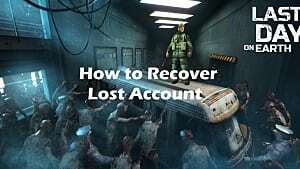 They can also be bought for a bunch of resources from a Dealer (which frankly is not a very good trade), or purchased in the store if you've got some cash to burn on a freemium beta game and want a higher Ranking immediately. Puppies are invincible, although they can be released out into the wild. 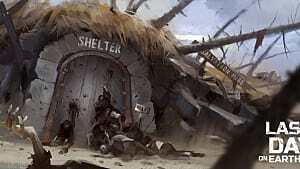 Full grown dogs on the other hand can die, although they will eventually respawn back at your home base. For a puppy to reach adulthood and start earning Traits, you've got to feed them Raw Meat, Raw Turkey, or Dry Food. Without regular food, the puppy's growth meter stops. After 24 hours of being fed (or faster if you spend in-game currency), you get a full grown dog. Note that the number of hours of food provided by each food type is divided by the number of puppies you have, so you will need to hunt down tons of resources when you have a large kennel! Keep in mind you also have to keep feeding the dog after reaching adulthood or they will go inactive. Upon reaching adulthood, dogs are marked from Rank I to Rank IV, gaining a randomized Trait based on their Ranking. Dogs can't raise in Rank on their own, but the Rank number is still important to note for breeding. With a male and female dog of the same Rank, you can now select the option to Crossbreed, which will give you a brand new puppy, but also results in the two parents leaving your base! This means you constantly have to acquire and raise new puppies to reach the highest Rankings. The new puppy will never be lower Rank than the parents, but there's a chance of getting a higher Rank, which is how you build up slowly towards the Rank IV dog with True-Friend, which is what you eventually want. 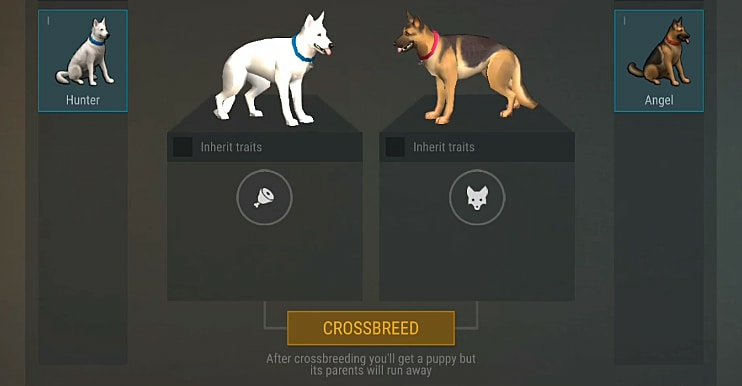 Make sure to use the Inherit option and always breed a dog with a good set of Traits to a dog with a set of Traits you don't care about, that way the puppy will get the good Traits and keep that line of skills going. When the puppy ends up a higher Rank than its parents, it then gains an additional Trait. By breeding bad to good and keeping good Traits, you can decrease the amount of time it takes to hit the end goal of Rank IV with True-Friend. For the fastest breeding, you want to keep the Witty Trait on every single dog, as this will increase your chances of getting to Rank IV faster. What are you favorite dog Traits, and do you have any tips for quick breeding up to high Ranks? Let us know your strategy in the comments below!